By giving love, instead of grabbing for it, you'll become the person others want to love in return, no matter what their role in your life. 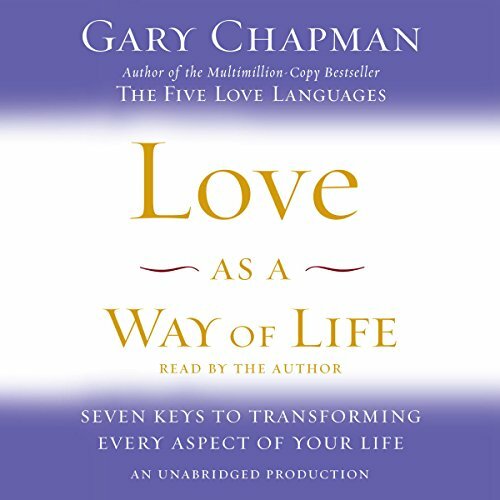 Relationship expert Dr. Gary Chapman applies the seven characteristics of authentic love to family life, friendship, the workplace, and beyond. Eye-opening personal assessments uncover relational strengths and weaknesses, while real-life stories and ideas for building habits of love will inspire you to grow into the complete person you were meant/created to be. Capture a vision that will transform your relationships and make your corner of the world a better place - by choosing Love As a Way of Life. View More In Dating & Relationships. If you have any questions about this product by Random House Audio, contact us by completing and submitting the form below. If you are looking for a specif part number, please include it with your message.